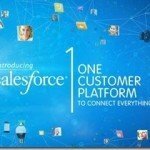 SAN FRANCISCO –BranchIt Corporation, a leading provider of cloud-based relationship discovery solutions, has been selected as the winner of the AppQuest competition, held by salesforce.com. Built using Force.com, the enterprise cloud computing platform, BranchIt for Chattersm, is immediately available for deployment on the ChatterExchange, an entirely new category of social apps on AppExchange 2 at http://www.salesforce.com/appexchange. 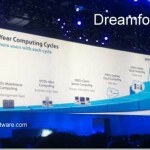 The announcement was made today at Dreamforce 2010, the cloud computing event of the year. BranchIt for Chatter uncovers relationships held by employees across the entire company and feeds them through Salesforce Chatter to users. Specific functionality includes automated contact syncing, relationship discovery, relationship strength scoring, contact following, account following and related management reports. The application makes use of Chatter, Jigsaw, Apex code, Visualforce, various e-mail platform integrations and is accessible via standard web browsers and mobile devices. "We are honored to be chosen as the AppQuest winner. This is a tremendous validation of BranchIt’s market leadership in relationship discovery," said Josh Yuster, chief executive officer of BranchIt Corporation. "Relationship discovery is a top priority for C-level executives as it uncovers valuable connections that speed up the sales cycle, increase the close rate, and ultimately generate revenue." Account managers looking to grow business within their account can be alerted to other connections at different parts of the organization. BranchIt Corporation is offering BranchIt for Chatter to Salesforce CRM customers free of charge for an unlimited number of users. Companies need to register by Valentines’ Day, February 14, 2011 to take advantage of this promo. Send requests to [email protected] or call toll free 866-WARM-LEADS. AppQuest 2010 is salesforce.com’s challenge to developers to build the next killer app on the Force.com platform. The challenge brought forward over a 100 submissions for apps ranging from electronic health records to field sales, call logging, recruitment, hotel management, and practically everything in between. The top finalists delivered their pitches at Dreamforce, and all submissions received up-close attention from top-tier VCs like Bessemer Venture Partners, Emergence Capital Partners, and Sequoia Capital. The winning app received a $100,000 cash prize. Check out the AppExchange to see and demo the top apps. Dreamforce is the industry’s leading global cloud computing event focused on inspiring customer, partner and developer success with cloud computing. Attendees will learn how to maximize their current investments and explore new offerings across Salesforce Chatter, Sales Cloud, Service Cloud, Force.com and more. Over the past 10 years the cloud computing economy has radically changed the way companies operate. Now as we enter the next phase, cloud computing is becoming inherently social, real‐time and mobile. Dreamforce is where this transition is happening with hundreds of salesforce.com partners exhibiting the latest cloud offerings, as well as training sessions, seminars and breakout sessions. BranchIt for Chatter is now listed on the AppExchange and takes just a few clicks to install. The company is currently accepting requests to be part of their Closed Beta program. 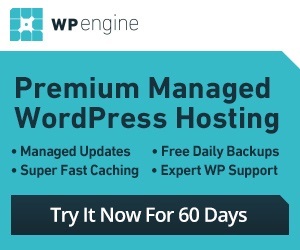 Send requests to [email protected]. Force.com is the only proven enterprise platform for building and running business applications in the cloud. The Force.com platform powers the Salesforce CRM (http://www.salesforce.com/) applications, more than 1,000 ISV partner applications like those from CA Technologies, FinancialForce.com and Fujitsu, and 185,000 custom applications used by salesforce.com’s 87,200 customers such as Japan Post, Kaiser Permanente, KONE and Sprint Nextel. Force.com also enables developers to make any enterprise app social by leveraging the social collaboration components including profiles, status updates, and real-time feeds available with Chatter. Based in Sunnyvale, CA, BranchIt Corporation is a leading provider of relationship discovery solutions. Through its patent-pending, permission-based, on-demand software, BranchIt enables companies to leverage the collective strength of the relationships held by their employees to grow sales, develop strategic partnerships and drive business objectives, while preserving security, privacy and integrity of information. The BranchIt solution requires no software installation, upgrades or maintenance. For more information, please visit www.branchitcorp.com, or call 1-866-WARM-LEADS.